The clubhouse has catering facilities, dining area, lounge area and a well stocked bar for our bowling and social members, visiting bowlers, spectators and guests. Make it the venue for your special event! Please fill out the form below and we will get back to you shortly with further information on charges and booking. $7 per person or $250 for up to 50 guests, negotiable costs for greater numbers. Group bookings include the provision of a member for instruction. 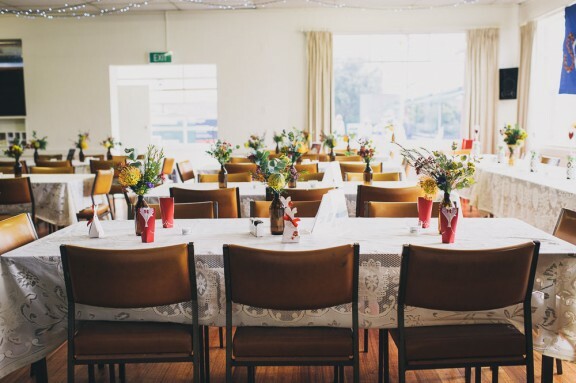 Beautiful retro linen hire for your function at $5 a piece. $50 flat rate for kitchen hire. We'll be in touch to confirm your booking! Function hire is currently $250 and there are also additional charges which relate to kitchen, crockery and linen hire. Please refer to our Booking Form for all charges and conditions. The Booking form shall be sent to you upon your email enquiry. The hirer is liable for the cost of any non-accidental damage to the Bowls Club premises by guests. Any excess mess is to be cleaned up by the hirer before leaving. A security bond of $200 cash is held for this contingency. If you are booking a function, barefoot bowls is available at a reduced rate. Exclusive use of the green is $250 for three hours for up to 50 guests and negotiable for higher numbers. This includes the provision of a member for basic bowling instruction. All children on the green who are under eight years of age must be supervised by an adult at all times. A bar person is required for every 25-30 guests and also 1-2 kitchen assistants if the kitchen is hired. Staff charge is $100 per staff for up to 6 hours or an hourly rate of $20/hr and $25/hr on Sundays or public holidays. Guest numbers are to be confirmed within 2 weeks of your function. Your $100 deposit will be forfeited if your function is cancelled within one month of the function date. Live music must cease by midnight and all music volumes to be reduced thereafter. Bar service ceases half an hour before function end and you and your guests must vacate the premises by function end time. The balance of costs is due and payable to a representative of the club by the start of the function. This can be paid by cash or card, or directly transferred to our bank account. Jakob and Zoey were married in Melbourne in November. Their reception was at Thornbury Bowls Club. The whole day was a really casual affair. The bride and her bridesmaids all wore vintage dresses and the whole day had a 1950s vibe. This indoor market is popular with makers and locals. 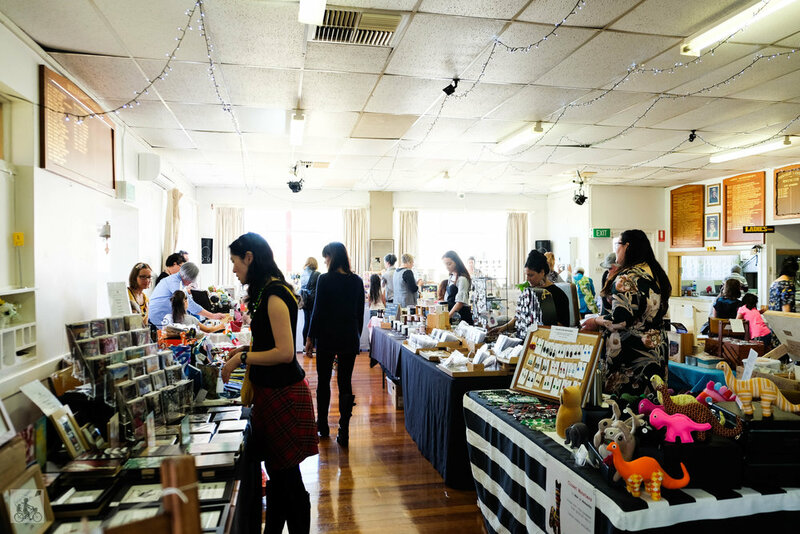 WAM Pop Up Makers Market is a highly curated makers market with a wide array of stalls. This market's philosophy is pretty simple - celebrate the best in local handmade, art and design. Add some locally brewed beer, a nice cup of tea provided by the fine women from club whipping up some Devonshire Tea, what more could you want!